You can now choose to use certified custom visuals, and i can't resist mentioning the new Visio and Mapbox custom visual too. The bottom right ellipsis ... tool allows you to import a custom visual from the Microsoft Store. 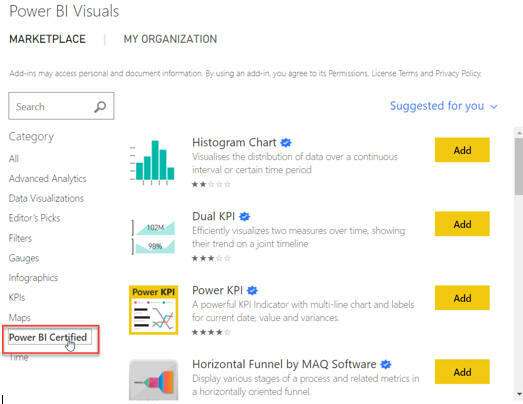 The Power BI Certified category. 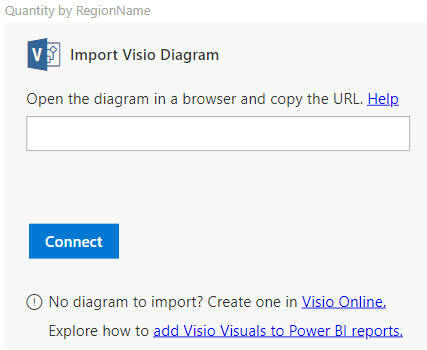 Wise Owl used to teach Visio, and I have fond memories of it, so I'd just like to say that the Visio Visual custom visual exists! This visual only understands Visio diagrams. This looks exactly like the map visual in Power BI, which is surely by design. I tried a shape map (choropleth), but as ever the support was only built-in for international countries or US states. 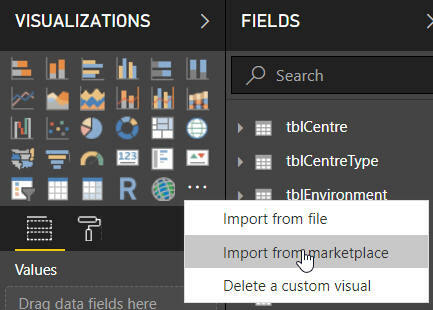 Microsoft seem to be trying hard to give Power BI designers choices other than ArcGIS!